The long-running dispute has come to an end. 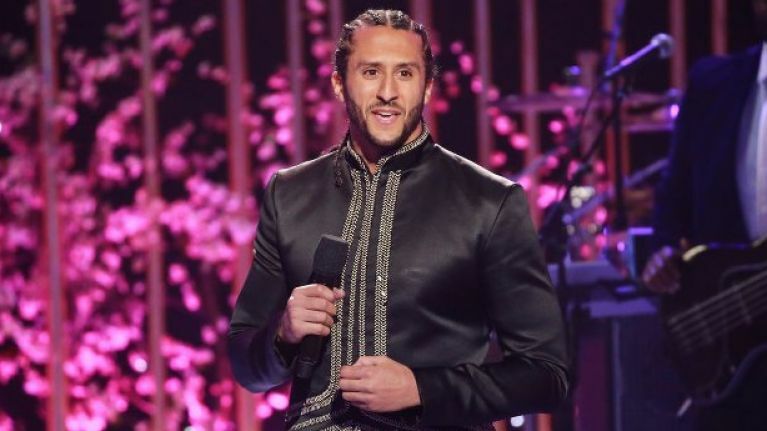 Colin Kaepernick and the NFL have reached terms on an undisclosed settlement that brings a conclusion to the high profile standoff between both parties. In 2016, Kaepernick started a contentious trend when he became the first of many NFL players who chose to take a knee during the playing of the Star Spangled Banner at games, in protest of a series of shootings of black people by police. Eric Reid, the second player to protest in this fashion, has also come to financial terms with the NFL. US President Donald Trump was among their fiercest critics, claiming that players were disrespecting the American flag and military. Currently a free agent, the 31-year-old filed a grievance alleging collusion by team owners in October 2017. Kaepernick has received much praise from the public, with many artists refusing to play the Super Bowl half time show or even provide back-up to eventual selected act Maroon 5 in support of the quarterback. On Friday (15 February), Kaepernick's lawyer Mark Geragos confirmed that the matter has been officially settled. "For the past several months, counsel for Mr Kaepernick and Mr Reid have engaged in an ongoing dialogue with representatives of the NFL," begins an official statement. "As a result of those discussions, the parties have decided to resolve the pending grievances. "The resolution of this matter is subject to a confidentially agreement so there will be no further comment by any party." Earlier this week, Colorado-based sports shop Prime Time Sports announced that it was closing down. Prime Time Sports previously declared a boycott on Nike products following the airing of the brand's advertisement that featured and endorsed Kaepernick as the face of the 30-year anniversary of the 'Just Do It' campaign.